I’m just going to talk about reading. It is funny how much my reading pattern has changed in just over a couple of years. There was a time when I refused to touch an e-reader. Husband was the first in our family to cross over to the dark side. But then for him, gadgets win over books anytime. He bought the Kindle as a gadget. He kept trying to entice me to try it. For the longest of time, I refused to even consider it. Blasphemy! How could he even think that a cold device could replace a lovely, warm, inviting book. Even better if it is a well-thumbed copy, like an old book of my grandfather’s that I still have. 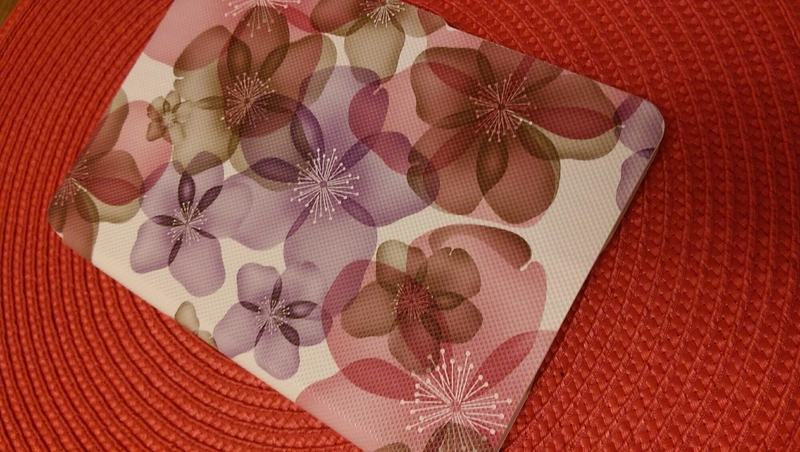 The smell, the feel, everything.. of a book, how could an e-reader ever replace books. It was unthinkable. Did you notice the past tense? Well, that’s because all that has since changed. I still love reading a proper book, but somewhere along the line, I slowly started picking up e-books. I think it started first when I took husband’s kindle on a holiday. It felt like a sort of freedom. I didn’t have to carry loads of books! What a brilliant idea! And I could read it everywhere, I loved the e-ink, it almost felt like paper, and I could read it everywhere. 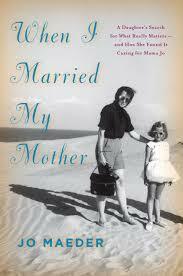 I read it on a hot, sunny beach, and that was where, I think I finally fell for the Kindle. Then on, I stopped being completely anti-Kindle. It started to make more sense. It still wasn’t half as interesting as a proper book, but it had other advantages. Slowly, over the last two years, I have started reading more and more on the Kindle. It is so very convenient. I can carry it everywhere, I can get review copies so much easier on it. Books are cheaper on the Kindle (I know, I am cheap! ), and given our nomadic lifestyle, sometimes, transporting boxes of books are the biggest expense. From a one Kindle family, we are now a three Kindle family. Daughter has just started reading on the Kindle too. And I have got a new one for Christmas! It was a busy year for me, but out here, on the book blog, I’m going to stick with book year, or my year in terms of books. I’ve read 122 books this year, according to Goodreads. Down from 2013 (143) , but I have been working this year, so that does take up a significant amount of my time 🙂 Try as I might I can’t read while working unlike at home when I read while cooking, or ironing, pretty much all the time..So that accounts for the reduced reading. I hadn’t taken any reading challenge as I think it might just take away from the fun of reading. And that will stay that way this year as well. As usual, I’ve read a wide variety of genres. Mostly fiction with some non-fiction interspersed in between. I wish I could find a way of getting that sort of stats. Goodreads, are you listening? I’ve read some lovely books, some not so memorable ones. 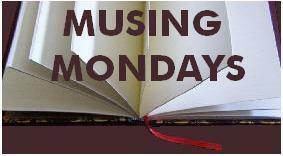 Discovered new authors, reviewed some, couldn’t review some, either because they weren’t worth reviewing, or because they are so good that I knew that I couldn’t do them justice. I have read a lot more e-books this year. A combination of not having the time to go to the library and trying not to clutter up my house further by buying books, e-books have crept in and become a reality. We’ve become a three kindle family with Daughter becoming a proud owner of a kindle as well. I hadn’t planned on getting her a kindle, but it does seem to help, given the amount she reads. Plus e-books are so much cheaper plus with my schedule library runs are getting so much tougher to make. She’s got the basic kindle without the backlit display, so I’m hoping it is as close to real books as possible. As of now, she’s delighted. While I didn’t take up any reading challenges, I did take up a review challenge of reviewing 52 books, one for each week of the year. According to the blog stats, I’ve posted 50 reviews, however, I did a post with 4 full fledged reviews as they were part of a 4 parts story, that takes me to 53 reviews in all 🙂 I’m chuffed, as I wasn’t sure I would quite make it this year. I plan to aim for the 52 reviews again. I’m not even going to try for something higher, knowing how tough it gets to get there. So what in your plate, reading wise this year? Any recommendations? Any new authors you’ve discovered? And oh yes, wish you all a wonderful year ahead! May it bring you whatever you wish for! What do you think you are going to read next? So, lets set off, shall we? What have I been reading? 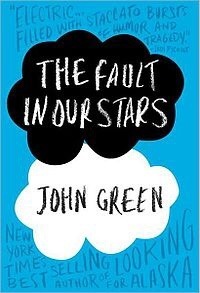 I’ve just started reading ‘The Fault in Our Stars’ by John Green. It sat on my to-read list for ages, before I managed to lay my hands on it. Or rather, had it downloaded on my Kindle. It might have stayed there for a while, had I not managed to run out of real books completely yesterday. Blessing in disguise it was, when I saw that ‘The Fault in Our Stars’ was just sat there, waiting to be read. I’ve found it interesting so far, but I’ve just started. Going by reviews of some dear friends, I’m sure I will enjoy the read. What did I recently finish reading? The Weight of Silence by Rebecca GudenKauf. It sounded like an interesting book to begin with. It was an interesting book as it started off. Two seven year old girls go missing. These two are the closest of friends. One of the is selectively mute. Traumatised by a horrible incident when she was younger. One day, both of them are missing, the parents distraught and the police wondering if there is a link to another girl who disappeared some time ago, a fact that the parents don’t even want to think about. The premise held promise and I was hooked. However somewhere down the line, it fizzled out. And for some reason, I had an inkling of how things would end. And the possible suspect. It was an alright read, but nothing to write home about. What would I be reading next? 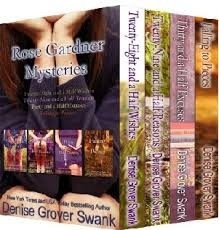 Possibly the next in the Rose Gardner series. I picked up Twenty Eight and a Half Wishes on the Kindle, just because it was cheap. I know, appalling, my criteria for picking up books! But I found it surprisingly fun. So I’ve gone and ordered the whole box set. So that was me. So what have you guys been reading? .What are you currently reading? What am I reading now? I’ve just started The Immigrants by Manju Kapoor. I’ve just started it, so I can’t really say how I’m finding it. If it’s good, it will find itself here with a review. What did I recently finish reading. The Making of Us by Lisa Jewell. A book, that I thought would be a regular chick-lit(this is what happens when you pick up books on a whim), but it certainly wasn’t anything like a chicklit. Not that there is anything wrong with a chick lit. I love them, but this was totally a different sort of story. Review coming up soon, as soon as I complete the two that are sitting in my drafts. So much to read, so many to review, and hardly any time. Story of my life! What will I read next? No idea at all. I’ve got a few books waiting for me on the Kindle and I’m sure I will do a library run soon too. Let’s see what I end up reading. So, tell me what have you guys been up to? 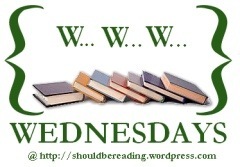 WWW Wednesdays is a tag hosted by MizB at her blog – ‘ShouldbeReading‘. I participated once last week, and really enjoyed it, so here I am, at it again. I’m reading Diane Chamberlain’s ‘The Courage Tree’. It has started off really well. Has me completely hooked! Click on the image below to know more about this book. I’ve just finished reading ‘India was One’ by An Indian. Review coming up soon. Click on the link if you want to know more. Now this is the tricky one. I might pick up something I’ve got downloaded on my Kindle. I don’t have anything planned as of now. Unless I happen to go into the library and chance upon a really cool book which I can’t but start reading. So tell me, what you guys been reading?